Advancing Medical Marijuana: FDA approves, so what’s the problem? Which leads us to our current topic of discussion. 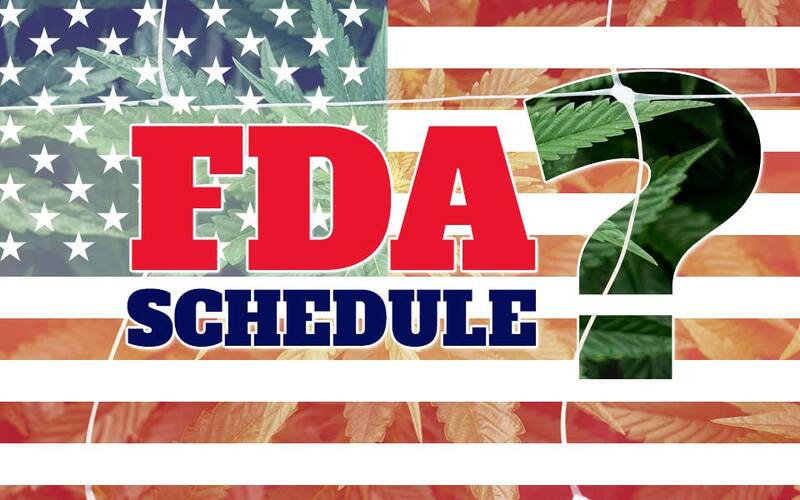 How can marijuana, medical or recreational, continue to be designated a Schedule 1 drug when the FDA has approved a marijuana based medicine, not to mention other previously accepted medications like Marinol? How can current scheduling remain in place when 60% of the United States have Medical Marijuana laws in place? How can cannabis not be considered medicine when many physicians see it as a potential treatment for their patients and organizations like the American Medical Marijuana Physicians Association (AMMPA) continue to flourish? First, regarding FDA approval and current scheduling of cannabis. It seems like a contradiction of terms when a federal agency of one of the United States executive departments recognizes the use of marijuana as medicine, with its recent approval of Epidiolex, and at the same time the current Schedule 1 status indicates cannabis as a drug with no currently accepted medical use. Read that again. It’s no wonder that we have some of the problems we do in this country when our own government can’t agree. Well this author believes that in the near future we will see cannabis re-scheduled more appropriately. What about the fact that 60% of our states have medical marijuana laws in place? The majority of our country has shown support for cannabis as medicine and that number continues to grow. State to state reciprocity is starting to happen and the need for a National Medical Marijuana Card is becoming evident. This being a democracy and the ability to change laws and leaders through our votes, a change in the current federal law seems inevitable. Finally, let’s talk about the medical community. More and more physicians and allied health professionals are recognizing the potential medicinal benefits of cannabis and recommending it for their patients. Medical practices and Medical Marijuana Treatment Centers (dispensaries) are rapidly opening up around the country. The body of research in support of the benefits of medical marijuana for a variety of conditions continues to grow. More physicians and allied health professionals are becoming active members of professional organizations in support of medical marijuana. It seems clear that there is a medical marijuana initiative in the areas of treatment, clinical research, and professional association. All of this seems, at least on the surface, to be promising for the future of medical marijuana in the United States. Reality is, until cannabis is rescheduled, and the laws change on a national level, there won’t be true reform and the full acceptance of marijuana as medicine, and all that it implies, won’t be realized.